Professor Katseanes is the Director of Orchestras and an Associate Director of the School of Music at Brigham Young University. As Director of Orchestras he oversees the orchestral program that accommodates nearly 400 students enrolled in the five University orchestras, and directs the graduate orchestral conducting program. He conducts the BYU Philharmonic and the BYU Chamber Orchestra in their campus concerts, throughout Utah, and on their regular tours throughout the world. Kory Katseanes is a native of Blackfoot, Idaho, and moved to Salt Lake City in 1974 to continue his education. He joined the Utah Symphony in 1975 as a violinist, and served as Assistant Conductor from 1987 to 2002. He appeared regularly on the Entertainment, Youth, and Family Series, at Deer Valley, Snowbird, and Abravanel Hall, and at numerous venues locally, throughout Utah, and the surrounding Western States. During his fifteen years as the assistant conductor he played a significant role in the education programs of the Utah Symphony, programming and conducting concerts the orchestra performed in Utah’s schools during that time. 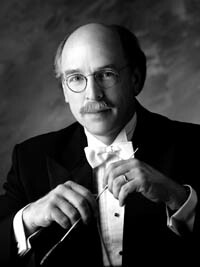 Recent guest conductor appearances include the Utah Symphony, the Mormon Tabernacle Choir and Orchestra, and choral and orchestral concerts with community and student orchestras in Utah, Idaho, Illinois, Kentucky, and Florida. Mr. Katseanes received Masters and Bachelors degrees from the University of Utah, and an Associate Degree from Ricks College. Conducting studies were with renowned conductor Josef Rosenstock. Violin teachers included Lamar Barrus, Oscar Chausow, Kathryn Katseanes, Zvi Zeitlin, and Elaine Richey. Prior to BYU he was on the faculties of Illinois Wesleyan University and Ricks College. He and his wife Carolyn (Landes), are the parents of four children. He is also an avid golfer.